Derived from the 2014 One Show competition for the "Save The Arts" initiative. 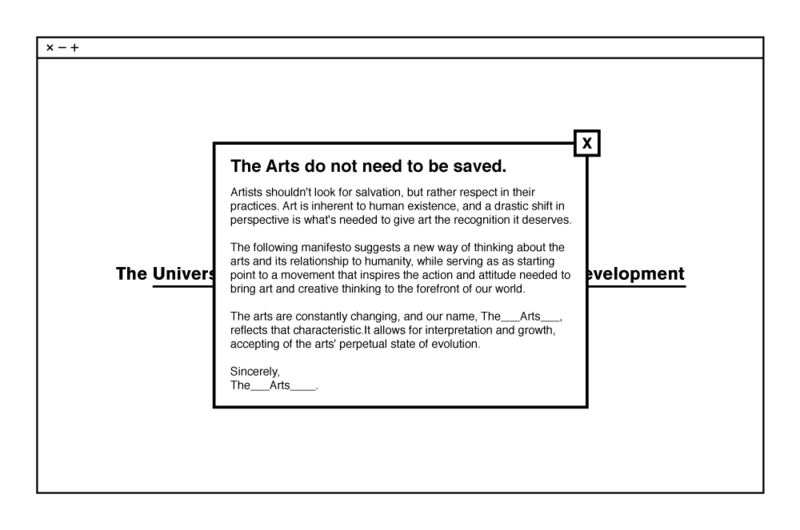 Instead of looking for salvation, the following manifesto suggests a new way of thinking about the arts and its relationship to humanity. The arts are constantly changing, and the name, The___Arts___, reflects that characteristic. It allows for interpretation and growth, representing arts' perpetual state of evolution. In collaboration with: Briggitte La, Brian Mark, and Gabe Ferreira.